A tragic scene occurred Tuesday night when a motorcycle was hit by a drunk driver in an SUV that ran a red light. A married couple was riding on the motorcycle at about 8:00 p.m. on the northbound service road of Highway 121 at Plano Parkway. The couple was identified as Stephanie Byington and Jeremy Byington. Their son was riding a motorcycle behind them and witnessed the horrific crash. Both of them died on the scene shortly after authorizes arrived. The families of both victims have set up a GoFundMe account to help with the funeral expenses. At this time, authorities have not released the name of the driver of the SUV. They have stated that they are waiting until all evidence is collected and charges are filed. 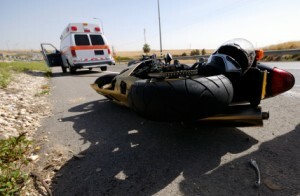 Todd Durham has expensive experience in helping clients with their motorcycle accidents. Attorney Todd Durham can assist you every step of the way with your claim. If you can’t come to his office, call, and we will do everything we can to help you get what you need. You deserve compensation for your motorcycle accident. You just need to get the right attorney to fight for you. If you have been involved in a motorcycle accident, contact Todd Durham today. Call (214) 222-4000 to schedule your initial consultation. What’s the Average Timeline of a Work Injury Case?